Courtesy of Alain Pinel Realtors, Scott Hayes. 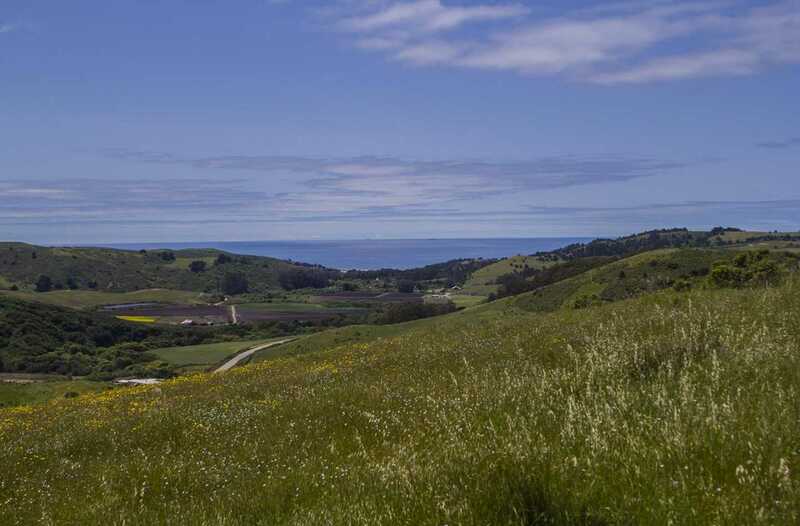 Sitting just 2 miles from the Pacific Ocean, this stunning one-of-a-kind 313 acre parcel has been in the same family since 1905. The property features 360 degree views of the San Gregorio Valley and Santa Cruz mountains with jaw dropping views to the Pacific Ocean. Situated about 30 min from Palo Alto and 1 hour from San Francisco the charming 1 bedroom 1 bathroom farmhouse was brought over from another ranch in 1910, The 2 barns were built at the same time and are located at the bottom of the property and easily accessible from Bear Gulch Road. The remainder of the property is a rare combination of high pastures, rolling hills and vast expanses. This property is easy to travel with jeep roads to most locations. Currently the property is a working cattle ranch and is in the Williamson Act. Listings last updated on April 24, 2019 21:01.